He remained a member of the church throughout his life, even though he labored far removed from the community. Alaska had a special census schedule in 1900. C. E. Hawkins was recorded as being in the Head Office, White Pass and Yukon Railroad. His date of locating in Alaska was April 1898. His "Post Office Address at Home" was Denver, Colorado; however, his family could not be located in the 1900 census schedules in Denver, or elsewhere in ther United States. In 1910, Erastus C. Hawkins was a lodger at Jasper W. Coovert's residence at Copper River, along with five others (all males, suggesting a rooming house). His occupation was not readable. He was an internationally known engineer. In 1884 he was in charge of construction of an extensive network of irrigation canals (aka ditches) in mountainous Colorado. There were many such projects in the late 1800s which took the spring snow melt from the Rocky Mountains to storage reservoirs and then to distribution canals (a.k.a.ditches) which irrigated the plains of northern Colorado east of the mountains. The canals were known as"high-line" ditches since they followed the natural contours of the mountains to gradually descend to intermediate reservoirs, then to irrigation ditches feeding the farms of the plains. They were designed to follow routes which required no pumping or aqueducts, with a gradual descent, minimizing waterway maintenance. His success with these undertakings brought him many engagements throughout the U.S., on large engineering problems, and led to his selection as the chief engineer to build the White Pass and Yukon Railroad. In 1898 he was Vice President-Chief Engineer and General Manager of the White Pass and Yukon Railroad between Skagway, Alaska and the Yukon, Canada. 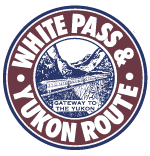 The White Pass and Yukon Railroad has been designated a National Historic Engineering Site by the Canadian Society of Civil Engineers and the American Civil Engineering Society. In 1907 he became Vice President-Chief Engineer and General Manager of the Copper River and Northwestern Railroad in Alaska which ran from Cordova to the Kennecott Copper Mines. Cause: of post operative shock, resulting from attempt to correct "ureteral calculus"
"Ureteral calculus" is a complete ureteral obstruction. No autopsy was performed. "Erastus C. Hawkins, a prominent engineer in charge of the Morgan-Guggenheim interests in Alaska, died at the New York Hospital in Manhattan Tuesday, aged 52 years. Mr. Hawkins was a native of Brookhaven and a member of one of the old and well known families there, was on his annual visit to the East from Seattle, Wash., when he was taken ill in New York and sent to the hospital for an operation Saturday. Funeral services were held yesterday afternoon at 1 o'clock in the South Haven church in charge of the Rev. Mr. Allen, and interment was made at the family cemetery in Brookhaven. Mr. Hawkins has been one of the most active men in the development of Alaska, having built the White Pass and Yukon railroads, the first in the territory, and also the Copper River and Northern lines. He received his education in the Brookhaven schools and the Rennsaelaer-Polytechnic Institute of Troy, and worked in various parts of the West before going to Alaska, He leaves a wife and five children. There is no doubt that he was interred in the Hawkins Family Cemetery in South Haven. While no monument marks his grave site, it is said to be located between his brothers Irving and Emmett Hawkins; archeological investigation has determined that there is disturbed soil at this location. This cemetery is No. 16 on the Town of Brookhaven Historian's Cemetery Listing, and has Historic Sites ID SH01A.1-S.
Later they resided at 1120 Jefferson St.
.. photo on ceramic tile. .. from the Session Minutes, South Haven, NY, Presbyterian Church. Interment was in the Hawkins family cemetery in South Haven. .. this reading of the poem by Robert W. Service (Jan. 16, 1874 - Sept. 11, 1958) somehow seems appropriate. ..ENGINEER WHO BUILT RAILWAYS IN ALASKA DIES IN NEW YORK. Erastus C. Hawkins Passes Away Following Second Operation—Wife and Family at His Bedside. Remarkable Work Done in Wild Country. .. Erastus Corning Hawkins was the chief engineer on the narrow gauge rail route completed in 1900. It is one of the engineering marvels of the 19th century. .. Includes videos, images, history & travel information. Some features require Apple, Inc QuickTime® to function. ..on April 11, 204, a dedication ceremony was held for a memorial monument for Erastus C. Hawkins on the 102nd anniversary of his interment in the David Hawkins Cemetery. His descendants now living in Washington state and Virginia attended. .. The following article appeared in the Brookhaven Village Association (Brookhaven, NY) Newsletter, Spring 2014, and is posted with the permission of the author, Marty Van Lith, BVA Historian. .. in March, 2014, a new memorial monument was installed made possible by community donations made to the Brookhaven Village Association. Pictured are Marty Van Lith (left), BVA historian and chairman of the Fire Place History Club, and the stone mason of Peconic Monument Works, Riverhead, NY. [S355] Biography: Erastus Corning Hawkins, 625.1092 QUI ..
[S356] History: The White Pass. [S1041] Book: The White Pass and Yukon Route Railway, http://www.wolfcreek.ca. [S355] Biography: Erastus Corning Hawkins, 625.1092 QUI ., p. 11. [S402] Records: South Haven Presbyterian Church 1903-1941, p. 32. [S191] 1900 Census, Roll: T623 1831; Page: 141A; Enumeration District: 7..
[S104] 1910 Census, Roll: 1750; Page: 215A; Enumeration District: 7; Part: 1; Line: 20. [S72] Hawkins Supplement vol II, LI REF 929.2097 HAWKINS HAW., p. 108. [S1040] Erastus C. Hawkins obituary, Seattle Daily Times., http://brookhavensouthhaven.org/HamletPeople/tng/showmedia.php?mediaID=1793. [S1035] Seattle Daily Times, 11 Feb 1951, p. 47. When Miss Nancy Hawkins, daughter of Mr. and Mrs. Mason Hawkins, was elected president of the Seattle Historical Cociety's Junior Historians, some long-time residents of Seattle remember their friendship with her grandfather, the late Erastus Corning Hawkins. In 1896 Mr. Hawkins brought his wife, two daughters and three sons to Seattle and established a home on First Hill. The Home at 1310 Minor Av. and later at 1120 Jefferson St., became noted as the setting for much hospitality. In addition to Mr. Mason Hawkins, a daughter, Miss Gilberta Hawkins, and two other sons, Rufus and Howard, are residents of Seattle. Mr. and Mrs. Howard Howard Hawkins have a daughter, Maralyn, and Mr. and Mrs. Rufus Hawkins a son, Mason. Mr. E. C. Hawkins also was a prime factor in building up the territory of Alaska, by guiding the construction of railroads (he was an engineer). He was vice president, chief engineer and general manager of the "White Pass & Yukon," first railroad to be built in Alaska, involving what is still said to be one of the great engineering feats in the world. [S71] Hawkins Genealogy: R. C. Hawkins, LI REF 929.2097 HAWKINS HAW., p. 78, 137. [S352] Death Notice: Erastus Corning Hawkins. [S353] Death Certificate: Erastus Corning Hawkins. [S88] Cemetery: David Hawkins, Location 1a. [S355] Biography: Erastus Corning Hawkins, 625.1092 QUI ., p. 15.